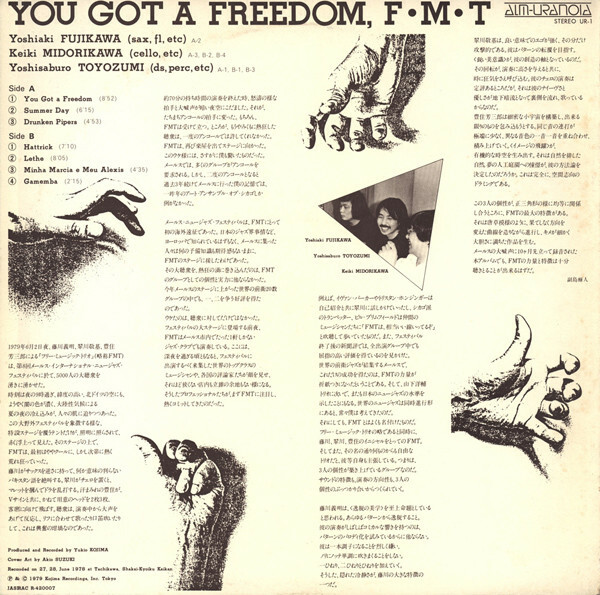 Phonographic Copyright (p) – Kojima Recordings, Inc. 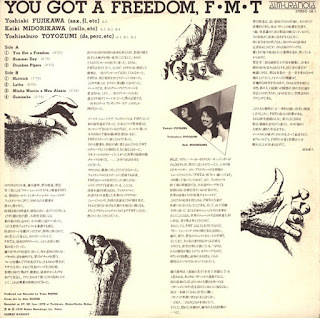 Copyright (c) – Kojima Recordings, Inc. 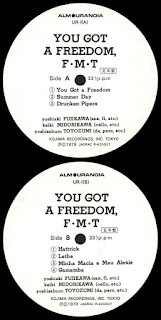 Recorded on 27, 28 June 1978 at Tachikawa, Shakai-Kyoiku Kaikan. 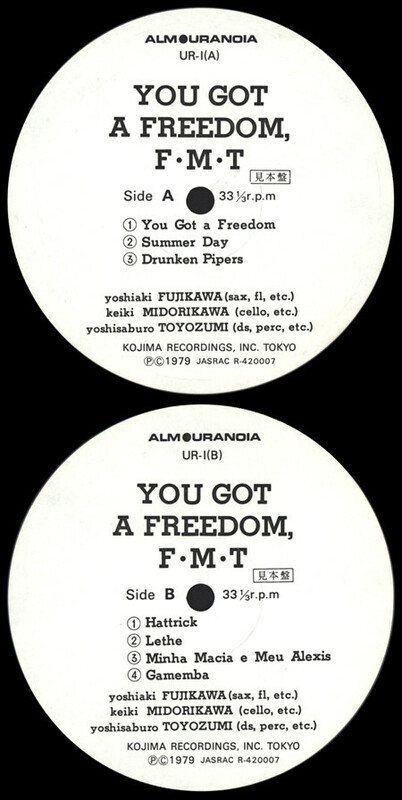 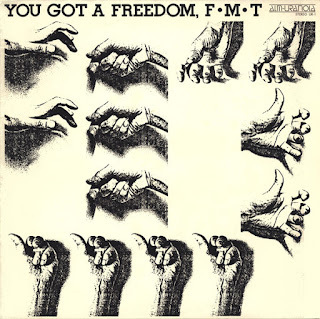 The group's acronym was taken from the first letters of the members' surnames (Fujikawa, Midorikawa, Toyozumi), but it also stood for Free Music Trio.